I took this shot while standing in the water on St. Joseph Island, just off the Texas coast. We were staying in Corpus Christi, and took the ferry boat over to Port Aransas, and from there took a little jetty boat out to St. Joseph Island. 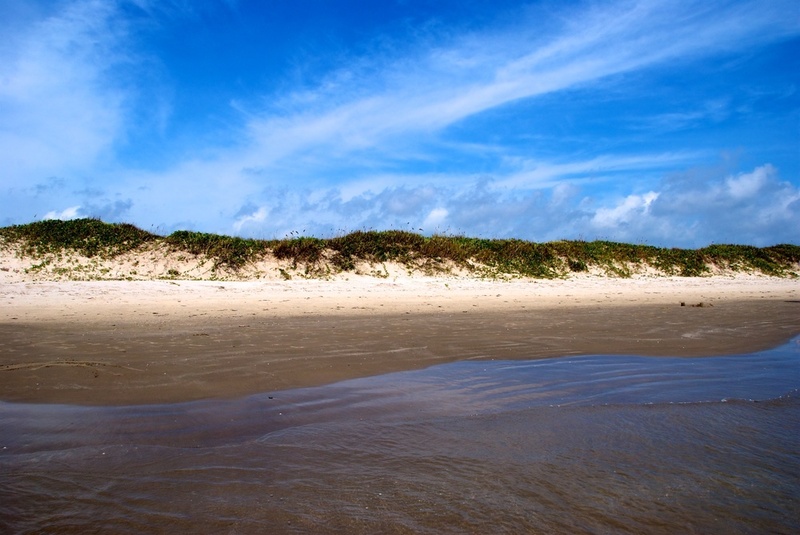 We have been once before, and as a state preserve (or something like that) it offers some incredible unspoiled beaches. We have found many sand dollars while walking along this beach - it's that pristine. I was drawn in to those wonderful clouds and the deep blue of the summer sky.